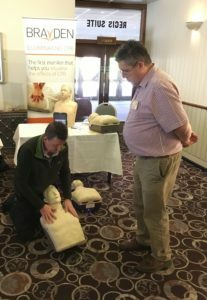 Paul Mulvey from WELMedical demonstrated the award winning ILLUMINATING CPR MANIKIN by BraydenManikin. This is the first manikin that helps you visualise the effects of CPR. 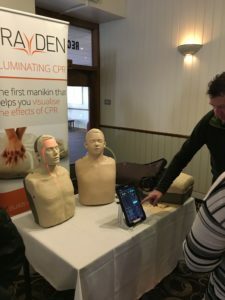 Three interrelated sets of LED lights give real time feedback of CPR performance and function: Chest compression indicating lights, blood circulation indicating lights, and a CPR quality indicating light. 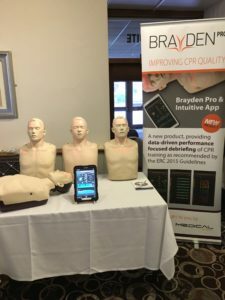 Brayden uses advanced built-in sensors to detect and analyse the effectiveness of CPR. These sensors are set to a default value to detect compression’s in line with current (2010) CPR guidelines.